It’s about to be Summer 2018 and what does that mean? 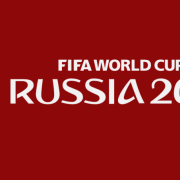 The World Cup 2018 in Russia! Most people cannot wait to cheer on the lads to hopefully bring back the trophy. What if you are not one of these people and want alternatives to the world cup? Well, we’re specialists in finding some super cool things to do! So we have another great list for you guys to check out. This time it’s all about great things to do if you’re not a football fan. ABQ is described as the world’s first ‘immersive molecular cocktail bar’ – Attendee’s are there to make and infuse your own drinks inside a Motorhome. All the while listening to some hip hop and gangster rap. They started up in 2015 and you’ll be working various different molecular techniques to cook and make your own cocktails. Then of course you can drink up! Plus there’s alcoholic options available for those that wish to. This bar is a lot of fun, it’s definitely something different than what we have experienced before. It’s an immersive theatrical experience that gets you from the second that you arrive at the destination. Alcotraz bar is inspired by Hollywood movies that have brought to life one of America’s most infamous prisons. Right in the heart of London. The bar is London’s very first immersive theatrical cocktail bar. It’s not an experience that stops once you get to the end, it’s a fully functional bar once it’s over. If you manage to escape the guards that is. FOUR bars, serving banging cocktails, like the Golf Lundgren or Who’s Your Caddy and tasty snacks including hot dogs, nachos and popcorn. There’s quite a few golf pop ups in London and Swingers is one to take note of, as it incorporates drinking into the mix too! 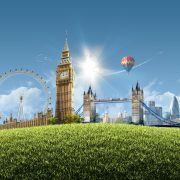 Swingers is a crazy golf venue that is located both in the city and also located in London’s west end. To show how crazy this venue is there is only a limited amount of walk up tickets available to punters. For the most part, it is a booking only venue, so make sure you book your tickets to avoid disappointment! One thing to note is that Swingers is an 18+ venue as there is alcohol served on the establishment. Swingers is a crazy golf club that turns the traditional crazy golf ideology and turns it on it’s head. It has regular crazy golf of course, but it also has street food available to it’s punters and amazing drinks to create one incredible social experience. Unlike a lot of VR games or events this is an experience in which you’re allowed to play! Hence why they’re describing it as a playground! What we mean by play is that you’re free to move around. As you’re not confined to a small play area. So you get to run around a HUGE room and experience, quite literally, a whole new world! In the worlds that Anvio VR have created you can run, jump and even wave to your partners whilst in the game, all that and much much more! Their play area is also fully wirless so there’s no worry about running into a wall or falling over wires. Thus creating a much more realistic and immersive experience. Plus there’s guides in the room, who are there to help prevent you from crashing into any walls, if you do manage to find your way to a wall that is! Star Wars: Secrets of the Empire is a full sensory immersive VR/AR experience that takes you inside the action. Literally! It’s location based, so the sets are interactive too, there’s also real time effects that help to heighten your experience. They really go ALL IN, in trying to make your experience as real as possible. You really have to experience yourself to truly understand what we’re talking about. (It’s THAT GOOD trust us!) Plus we’re really not allowed to delve into too much as the experience is all about discovery! We wouldn’t want to ruin the secret for you either! An adult ball pit is open for a limited amount of time, so get there quick! It’s based in London and called BallieBallerson, it’s filled with 20,000 balls and the venue has two floors, one which offers alcoholic drinks and food, while downstairs is where the nostalgia happens! First and foremost it’s a hotel and comes with a wide range of rooms to suit your needs. Perfect alternatives to the world cup eh?.The Arcade Hotel caters for singles, couples and groups and they all have their own unique gaming related nickname. There’s of course, lots of games available to play and there are a few rooms all set up differently for you to enjoy them! There’s a retro room, a multiplayer room and a HUGE gaming room that you’ll never want to leave! We had lots of fun here and we would like to maybe go back some day! Check out the video to see more or read more for a detailled analysis of our visit below. After you’ve subscribed to the podcast, why not sign up to our mailing list! As a result of signing up to our mailing list you’ll be the first to know about articles like this one! So sign up here! Ever almost been ran over when not checking the road whilst on your smartphone? 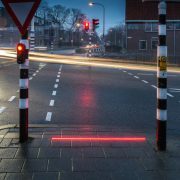 Well for the clumsy and daredevils out there a pilot project in Bodegraven,Holland is trialing a system called +Lightlines which fit snuggly in between the cracks in the paving bricks of a pavement/road. It’s basically a bright laser strip which is coloured either red (stop) or (green) so your candy crush marathon can continue whilst you do less important things like looking out for your life. 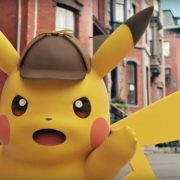 Details are scarce but Detective Pikachu will be on your screens and solving crimes in 2019! The movie will star Ryan Reynolds doing the detective part whilst Pikachu will be his trusty sidekick. Whilst surprisingly he will also voice everyone’s favourite pokemon! (Deadpool esque Detective Pikachu won’t appear, sadly!) 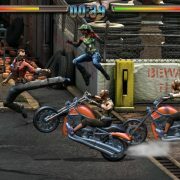 The movie is based on a popular Nintendo 3DS game of the same name in Japan and we cannot wait for it! Detective Pikachu: When can I see it? Universal Pictures are hoping to start showing the live-action Pokemon film outside of Japan on 2019’s Mothers Day, May 10th 2019. Disney’s Avengers will be released a week prior. Which is smart from Universal because the sales will be disastrous for a Pokemon movie the same week as Avengers. Sorry Pikachu! http://wp.freedomofcreation.co.uk/howtokillanhour/wp-content/uploads/sites/65/2017/12/Detective-Pikachu.jpeg 875 1600 billywright http://wp.freedomofcreation.co.uk/howtokillanhour/wp-content/uploads/sites/65/2017/09/htkah-web-logo-2017.png billywright2018-05-28 00:00:582018-05-23 19:33:27Live-action Detective Pikachu movie! HQ Trivia: The live game show on your phone! HQ Trivia is a brand new LIVE game for iPhone! Firstly, it’s an app that is very unique, in the fact that it plays on the use of live streaming very intelligently! 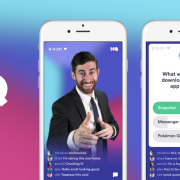 HQ Trivia is a LIVE game show which anyone can take part in around the world. Here in the UK the shows differ, as there are US game shows (that UK players can take part in) and UK specific game shows. UK game shows take place every Monday and Wednesday at 3pm and 9pm and are hosted by Sharon Carpenter. 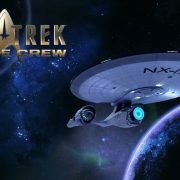 Whilst the US shows are shown at various different times during the week with the main show taking place at 2am GMT (there are other more convenient times, for UK players, throughout the week. Just keep an eye on your notifications) The US Show is mainly hosted by Scott Rogowsky alongside other US hosts. HQ Trivia hasn’t, by the looks of things online, used any marketing tactics. It’s gone viral and the numbers have creeped up from 300, 5K, to close to a 1M game players at once. However, these figures do change depending on what game users take on we’ve found. Created by the co-creators of Vine, game players use their general knowledge ability for the chance to win real cash prizes. Prizes of which have ranged from $500 – $2500 on a regular game. To the HUGE game that have been played recently of $15K!! The winnings are either split or taken by 1 user. Splitting in HQ Trivia, you’ll be glad to know is not like that. The winnings are literally split X amount of ways. For example we recently saw a $500 game be split 30 ways, each player got $16. It’s not a lot. But it’s great when you only have had to answer 12 questions for 15 minutes. Consequently, that’s the draw. The ‘Easy’ money. It’s only 15 minutes and you ‘only’ have to answer 12 questions. The questions understandably will get harder as they go on. But it’s 12 questions between you and a potential $500. You only get 10 seconds to answer so there’s no Googling! It’s a one and done play too, so get a question wrong and you’re out! While there have been some glitches where players aren’t able to answer any question and your ‘eliminated’ but the app is new and kinks will have to be ironed out. Just recently Rogowsky had to stall for a long time. People in the chat noticed and the guys over at HQ Trivia HQ restarted the game. Most of all, HQ Trivia is a lot of fun, so we can’t recommend it enough! It’s totally addictive and keeps you on your toes! To download HQ Trivia please click here! 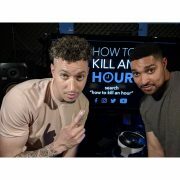 http://wp.freedomofcreation.co.uk/howtokillanhour/wp-content/uploads/sites/65/2018/01/HQ-Trivia.png 563 1000 billywright http://wp.freedomofcreation.co.uk/howtokillanhour/wp-content/uploads/sites/65/2017/09/htkah-web-logo-2017.png billywright2018-05-27 00:00:442018-05-23 19:29:55HQ Trivia: The live game show on your phone! Rick and Morty VR: Get lost in the Universe! Firstly, Rick and Morty VR, is a game for all of you diehard Rick and Morty fans out there. Literally be transported in to the world of Rick and Morty and walk around the home of Morty, Summer, Beth and Jerry! Better yet explore teh alien worlds that Rick takes Morty on during the hit show! Everything that is shown on the cartoon, players will be able to create in this cutting edge VR adventure from Adult Sim Games and Welchemy Labs. You can play as a Morty cline and explore all around Ricks garage and all the trauma that comes with it. (Consequently the adventures that come with it) Step into bizarre alien worlds simply by stepping through a portal. Yes you literally have to step through the portal, the game is THAT immersive. So, you may think that this game is simply sitting and walking around the Rick and Morty universe. Nope. 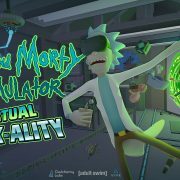 Rick and Morty VR literally is a VR world that is fully immersive. Pick up things from inside the world, move objects to the side. For example you can throw iconic items like the Plumbus around Rick’s garage. 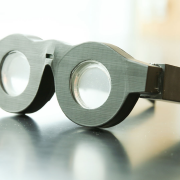 The game is in full 3D and we cannot get enough of it! Consequently, if you are not a fan of Rick and Morty you will really enjoy the tasks that Rick sets you. Even, simply walking around the different universes really shows off how good VR can be! To purchase Rick and Morty VR please click here! http://wp.freedomofcreation.co.uk/howtokillanhour/wp-content/uploads/sites/65/2018/01/Rick-and-Morty-VR.jpg 1080 1920 billywright http://wp.freedomofcreation.co.uk/howtokillanhour/wp-content/uploads/sites/65/2017/09/htkah-web-logo-2017.png billywright2018-05-27 00:00:382018-05-23 19:30:40Rick and Morty VR: Get lost in the Universe!